Sony is tired of hearing about how great everyone thinks Bose’s QuietComfort 35 headphones are. The Japanese manufacturer believes its brand-new MDR-1000X wireless noise-cancelling headphones are vastly superior, and it’s so confident of its opinion that it’s priced them at $400—$50 higher than its competitor’s offering. The company showed me the new cans earlier this week, allowing me to do A/B comparisons against its archrival’s product. Granted, this was a controlled demonstration in a hotel suite (and Sony provided the QC35s), but I came away impressed—and not just with the noise cancellation and musicality. 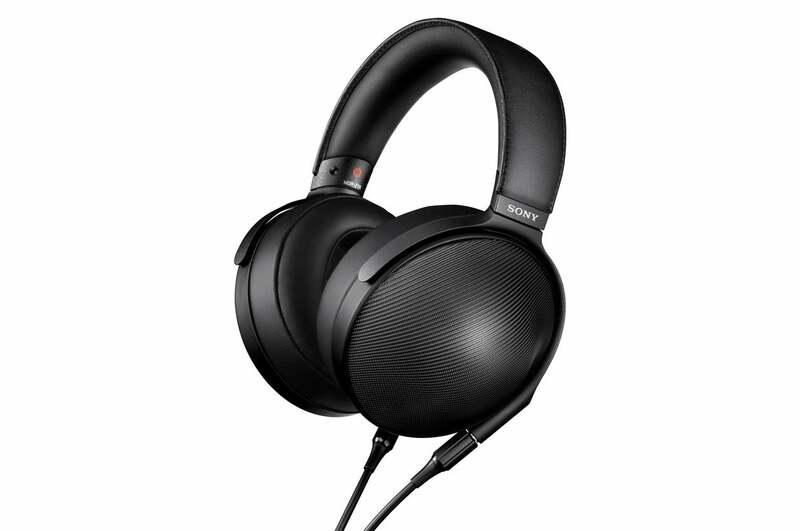 Sony’s MDR-1000X boasts several innovative features that Bose’s flagship headphones don’t. During the demo, Sony’s team had me put on a pair of Bose’s flagship headphones, with noise cancellation enabled, while they played some music on one of their high-end digital audio players. Then they paused the music and asked me if I could hear anything. I could—it was a faint, low rumbling sound. Then they asked me to take the headphones off. The sound was the simulated noise of a jet engine as you’d hear it from inside the aircraft’s cabin, played on a large loudspeaker they’d hidden in the room. 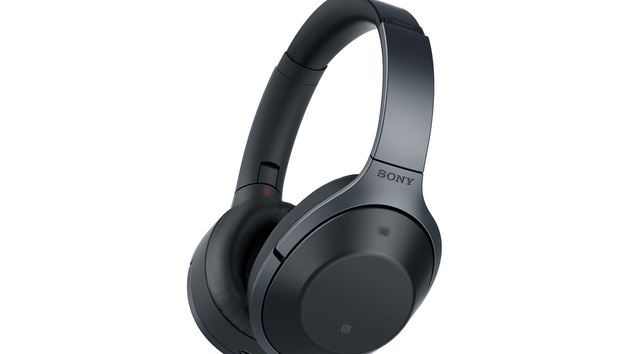 In addition to noise cancellation, Sony's new MDR-1000Z wireless headphones have touch controls for your phone or media player built right into the right-hand ear cup. Next they gave me pair of MDR-1000X headphones, again with noise cancellation enabled. This time when the music stopped, I didn’t hear anything but silence (yes, I verified that the loudspeaker was still rumbling). That was impressive, but Sony’s next tricks were even better. I was instructed to hold my right hand over the right ear cup. When I did, I could hear the product manager speaking to me over the music. 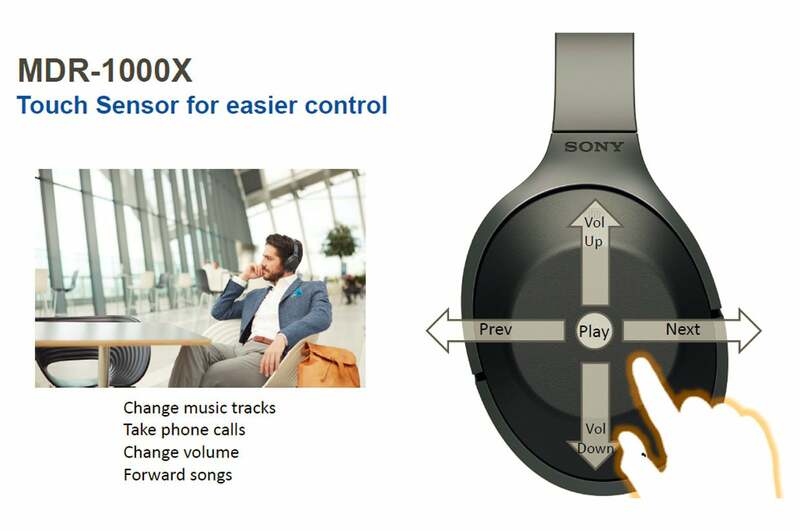 Sony calls this feature “quick attention” mode, and it’s designed to eliminate the hassle of having to remove your headphones or lift one of the ear cups when you see the flight attendant approaching to ask if you’d like to put in an order. There’s also an “ambient sound” mode that picks up outside sounds and pipes them to your ears while you listen to music, so you won’t miss announcements such as your boarding call. These features are enabled by two microphones mounted to the headphones, one on the outside and another on the inside. Both are connected to an onboard digital signal processor, and Sony says the internal mic can recognize when the circumaural ear cups are imperfectly sealed against your head, such as they might be if you’re wearing eyeglasses or if you have long, thick hair. In those situations, the DSP will attempt to compensate for the imperfection. Sony expects to fetch $400 for its MDR-1000X Bluetooth noise-cancelling headphones, which will be available in October. They are available for pre-order now. Sony says it's celebrating its 70th anniversary by giving its engineers carte blanche to design and build a new series of high-end personal audio devices. They came up with two new Walkman digital audio players; an audiophile-class headphone amplifier with both balanced and unbalanced outputs; and a set of headphones with ear cups with a stainless steel weave and a headband made of lightweight titanium. The NW-WM1Z Walkman ($3200) features a chassis machined from a block of solid copper and then gold plated. Sony says using copper reduces contact resistance (resistance is a measure of the difficulty of passing electricity through a conductor; contact resistance considers how much of that resistance can be attributed to electrical leads and connections. Yeah, it’s pretty esoteric, but audiophiles will eat it up.) The gold plating—in addition to helping to justify the outrageous price tag—prevents the copper from oxidizing. The $1200 price tag on Sony’s NW-WM1A Walkman will be less likely to trigger a coronary, but it shares a number of features with its more-expensive sibling, including discrete analog and digital circuitry and support for quad-DSD (11.2MHz) music files and recordings with up to 32-bit resolution at sampling rates as high as 384kHz. The TA-ZH1ES headphone amp (middle) features balanced XLR, unbalanced 1/8- and 1/4-inch, balanced 1/8-inch stereo, and balanced left and right 1/8-inch outputs. The new Walkman is on the right. 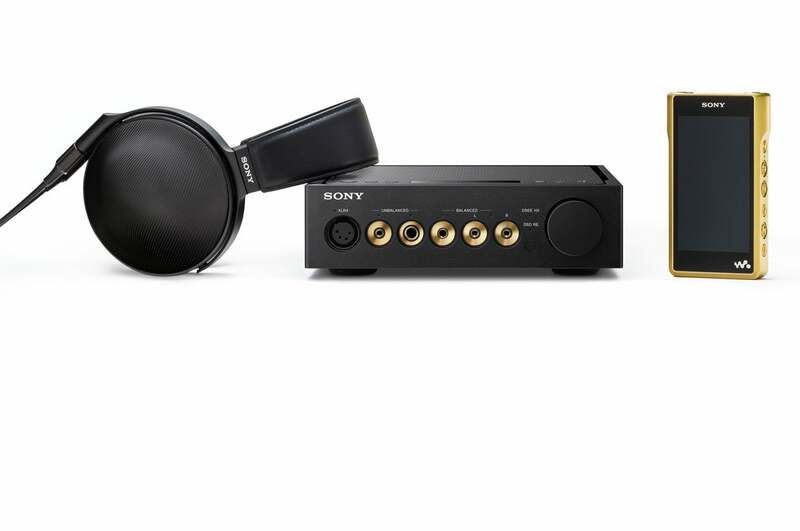 You can connect your headphones directly to the new Walkmans when you’re on the road, but Sony has a new headphone amp you can use when you’re in the comfort of your home listening room. The Signature Series TA-ZH1ES ($2200) features both a digital amplifier and an analog amplifier circuit. The amp supports most high-resolution audio formats, including native DSD and PCM recordings. Lower-resolution files can be up-sampled, and Sony’s DSD Remastering Engine will convert PCM sources to DSD 11.2MHz. Sony says it worked with one of its best mastering engineers at Sony Music Battery Studios to perfect the sound of its high-end MDR-Z1R headphones ($2300). The team only had a non-working prototype to show at the meeting, but I was surprised at how light the large cans felt on my head—especially considering that the exteriors of the ear cups are made from stainless steel mesh. 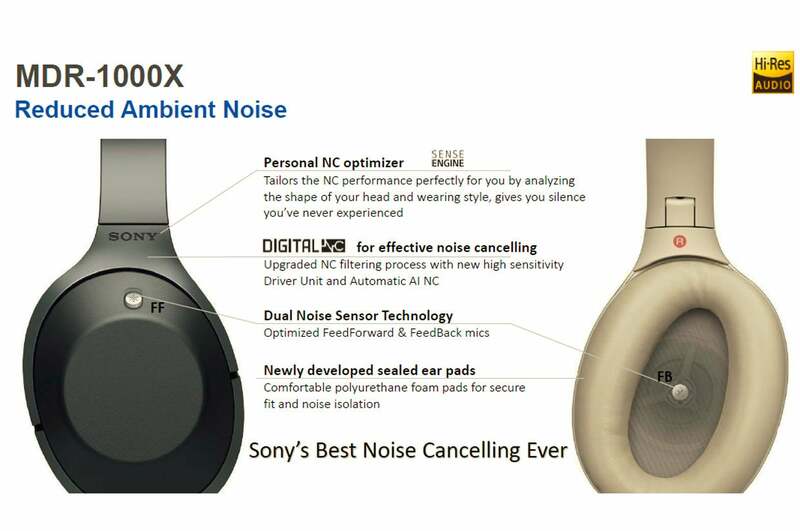 Sony’s product manager proudly pointed out that much of the weight savings comes from the headphone’s titanium headband. Despite the large ear cups with their woven stainless steel covers, the MDR-Z1R headphones are amazingly light. The MDR-Z1R have 70mm magnesium dome drivers that Sony says can deliver frequency response up to an astounding 120kHz. Sony teamed with Kimber Kable to engineer the MDR-Z1R’s cable, as well as the internal wiring in the NW-WM1Z Walkman.